Get now the On-Air unisex Summer jacket in Black / Grey by On Board. The On-Air unisex On Board Summer jacket is now available in acmotos in Black / Grey color. Its material is built with HARD-TEX fabric, made with 600D Polyester cord, very resistant to abrasion, combined with net material. 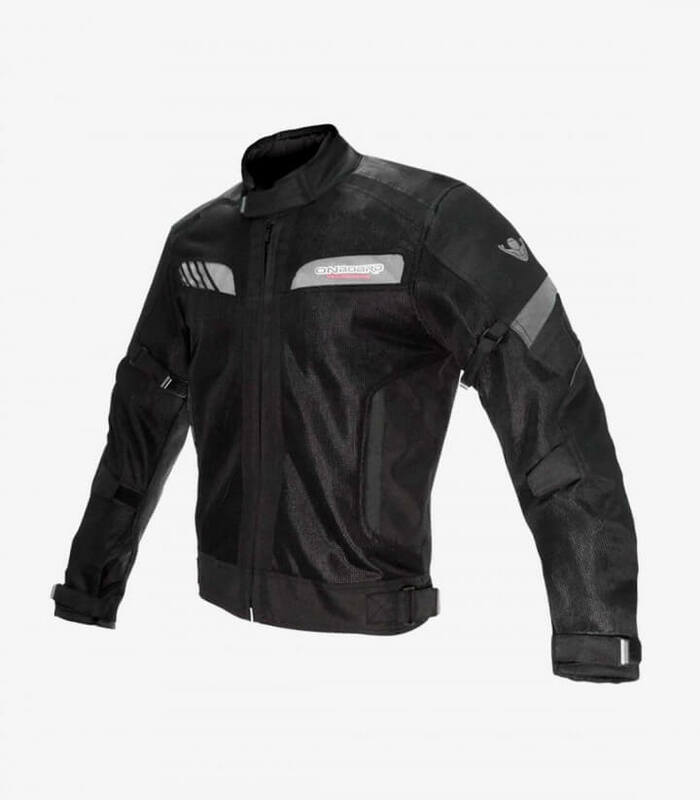 70% of the jacket is perforated fabric that provides great air circulation and makes it light and unheated. possibility to purchase separately The membrane exclusive DRY-B is waterproof-breathable and it is a windbreaker. it includes shoulders, elbows and back protection compiling with the homologation CE-EN1621 and removable. Exclusive system V360 with reflective areas made in material 3M to reflect the lights from the rest of the vehicles that surround you. Adjustable neck, waist, arms and wrists using velcro. The neck is made-up with a soft fabric that avoids irritations very pleasant to the touch. It has a zipper to tie the jacket and the biker pants.